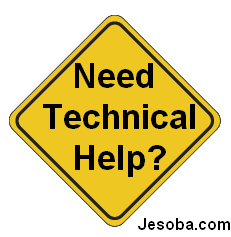 If you need free technical help than you are at the right place as we provide all the free technical help to fix your technical issues related to your computer (be it laptop or desktop), Mobile, and Electronics. Free help is useful specially when you don't have your computer under support contract or support contract is expired. If you use Microsoft software's like Windows, Office etc then login to below mentioned Microsoft Support websites to get free unlimited support. Login to these websites through your Hotmail or Live ID, if you don't have it create one. You must be thinking which one should I login to Answers.Microsoft.com or Technet.Microsoft.com, login to Answers.Microsoft.com site if you are home user and have issue with your desktop computer. If you are IT professional and have issues with server and its applications then use Technet.Microsoft.com website. After login provide some basic details to complete the profile, after that starting creating new threats to post issues and get replies with solution. The reply may take few minutes to couple of hours it all depends on factors likes complexity of issue, the time you posted the issue etc. - Mozilla Firefox Forum Click here to register. If you need hardware support than their are couple of top hardware support forums website to get free unlimited support. For TomsHardware click 'Sign In' option at top right hand corner. For TechSupport Forum click here to register. For TechIMO click here to register, accept the Forum Rules and proceed with providing other details. For Laptop Forums click here to register, accept the Forum Rules and proceed with providing other details. Read RSS Feed of TechIMO here This feeds helps you know what latest issue has been posted over this site. You may want to bookmark this page for future use. 1. If you face any hardware issue then follow the above mentioned recommended articles and then start a new threat in all hardware forums mentioned above, this will be helpful as you would get multiple replies and the resolution time will be less. 2. Strictly follow article:How to Report Technical Issue so that you do not miss any important point while creating a new threat or post. 3. Before you follow any suggestions or steps given by any of the above mentioned websites\forums, please take complete system backup, if possible take system image backup and create a system restore point. 4. Read the instructions and important notes carefully, before following any troubleshooting steps. 5. Before posting new issue, search for it on above mentioned forums, maybe somebody has already posted it and solution already exists, this will save your time. You can also subscribe to low cost monthly subscription service like: Experts-Exchange.com this is very popular online technical help service and very cost effective. The basic monthly charges are around 10$. Please check their website for latest charges and support plans, they do provide trial as well.